The Patient-Centered Outcomes Research Institute (PCORI) has recently shown significant openness to the integrative health and medicine communities via a series of appointments. In February 2013, CEO Joseph Selby, MD, MPH reached out to the Academic Consortium for Complementary and Alternative Healthcare to solicit an appointee for a Treatment Options for Pain Workgroup that met March 21, 2013. ACCAHC's nominee, Bastyr Research Institute director Daniel Cherkin, PhD, joined a group of 15-20 others that also included massage therapist and researcher Janet Kahn, PhD, John Triano, DC, PhD and NCCAM's Partap Khalsa, DC, PhD. Kahn is also a policy adviser to the Consortium of Academic Health Centers for Integrative Medicine. Then, on March 26, 2013, PCORI announced 84 appointments to advisory panels on key initiatives. Among those appointed was Regina Dehen, ND, LAc with Oregon College of Oriental Medicine. She will be a member of the panel on Assessment of Prevention, Diagnosis and Treatment Options. In addition, Cherkin, who also has an affiliation with Group Health Research Institute, was invited onto the panel on Improving Health Systems. PCORI received 1,295 applications, from 1,021 individuals, for panel membership. Comment: PCORI was charged by Congress to be inclusive of integrative health practitioners. Nice to see Selby and his team embracing that. Cherkin reports broad openness to integrative health practices and disciplines in the March 21, 2013 meeting. The most outspoken support was from the patients on the committee. The Friday, March 29, 2013 e-note from author, functional medicine leader and agent provocateur Mark Hyman, MD was called Dr. Hyman is staging an "Eat-in." Hyman first references the "sit-in" tactic from the Sixties as a "tactic to empower the dis-empowered, to create needed change in civil rights and women's rights, and to end unnecessary wars." In a taped message here on his "Take Back Your Health" site from which he promotes his books, Hyman urged an April 7, 2013 "Eat-in." He calls cooking at home a "revolutionary act." Hyman references a recent dinner with food author Michael Pollan. Pollan shares the view that cooking at home with "real and healthy food is a revolutionary act" that can transform both the healthcare and food industries. Hyman's plan for his "Eat-in" included reality TV-like linkage to Hyman's own "Eat-in" plus prizes connected to his own books and resources. Urges Hyman: "We have to cook our way out of this mess." Comment: This may be a great event to annualize. But if so, it deserves a coalition of supporters, and some separation from Hyman's selling of his own written products, excellent as many believe they are. Hyman's political bent is appealing. But it seems more likely that books will be sold than revolution will occur given the 7-day advance notice of this event via Hyman's personal list. Chinese artist and dissident Ai Weiwei was powerful enough to achieve significant impact via his blog posts on the 2008 Sichuan earthquake. Yet even he kept at it continuously for months. If revolution is desired, forethought and organizing is required. Rosa Parks didn't just show up on that bus. She was a community organizer and was working with others. Uniting the forces for healthy, home-cooked meals to support an annual event to take back our health could have real impact. The Integrative Healthcare Policy Consortim (IHPC), the multidisciplinary lobbying and policy organization with 15 organizational members, held the first of a series of webinars, open to the public, on March 28, 2013. The topic was the organization's priority issue: promoting a broad implementation of Section 2706 of the Affordable Care Act requiring non-discrimination in health care. Former Washington state insurance commissioner Deborah Senn, IHPC's' consultant on the initiative, fielded questions about the campaign. Alyssa Wostrel, IHPC executive director, shares that future webinar topics under discussion might feature: practitioners with updated info on best practices in their states, and their suggested action steps; insurance commissioners and their offices/staff with "bulletin" or advisory info; state associations with "lessons learned" info; and patients/consumers and patient associations regarding action steps. Of note, a group of students at Bastyr University are assembling state-by-state data on 2706 issues and developments for IHPC. Anyone can sign up for IHPC's alerts and newsletter at the IHPC site. Side-note on the discrimination/non-discrimination front: The American Chiropractic Association has shared this Delaware state release in which the Delaware insurance commissioner has issued Bulletin 62 warning insurers in the state to comply with the state's policies on compensation of chiropractors. The abstract submission deadline for the International Clinical Conference for Complementary and Integrative Medicine (ICCCIM), to be held in Chicago October 29-31, 2013, is April 26, 2013. The ICCCIM is sponsored by the Consortium for Academic Health Centers for Integrative Medicine. The planning team, led by Melinda Ring, MD and Henri Roca, MD, has called for presentations on topics noted here. These include: Sustainable Business Models; Integrative Algorithms of Care (for example: pain, anxiety, depression, IBS, ADHD, allergies, insomnia, IC, DM, FM, CFS, CVD); Building Interprofessional Teams (Communication, Training, Credentialing, Referrals, Coalescing Cultures of Care); Achieving Health Behavior Change; Facilitating Health from Birth through Adolescence; and the Evidence Basis for Complementary Modalities (modality itself; applications to therapy). Glenn Sabin, the founder of FON Therapeutics, is offering a free 30-page e-book, based on his columns and blog pieces, on marketing ideas for integrative centers. The resource is called Grow Your Integrative Medicine Practice by Telling Bigger Stories. Sabin, whose professional background is in marketing and publishing, has a website that greets visitors this way: "FON Helps Integrative Oncology and Integrative Medicine Centers Grow." The longtime cancer survivor, Integrator editorial adviser, and Society for Integrative Oncology board member is carving a niche in the field with pointed columns on how centers should position themselves in the marketplace via branding and new and old media. The University of Arizona Center for Integrative Medicine sent a survey in mid-March to test interest in what they are styling an "Integrative Health & Lifestyle Program." The focus will be "to teach allied health care professionals foundational integrative health." The e-note urging recipients to take the survey state: "The objective is to build the optimal health care team for patients and promote self-care and wellness for health care providers. Additionally, we are exploring a health coaching certification component to provide the skills required for successful patient adherence to an integrative health plan." Comment: Interesting to see the "integrative health" language used here at the Arizona Center for Integrative Medicine, the fount of "integrative medicine." The Center's new clinic in Phoenix is also styled the Integrative Health Center. The Consortium of Academic Health Centers for Integrative Medicine announced on March 29, 2013 that Temple University's has been accepted for membership. Judith Balk, MD from Temple's department of OBGyn will serve as point person with the Consortium. To apply for membership, institutions must have integrative medicine activities in at least two of the three leading health professions interest areas -- education, clinical, research - and support for the application at the Dean's level or above. The Consortium now has 55 member institutions, including 52 academic health centers and 3 affiliate institutions. The Maryland University of Integrative Health (formerly Tai Sophia Institute) announced on March 19, 2013 that starting in September, the institution will launch courses online as part of their academic offerings. Courses will be offered in courses on Herbal Medicine, Nutrition, Acupuncture, and Oriental Medicine initially. Others are expected to follow. In addition, beginning this autumn, some courses will be entirely or principally available online: Master of Science in Therapeutic Herbalism; Graduate Certificate in Herbal Studies; Graduate Certificate in Medical Herbalism; Master of Science in Nutrition and Integrative Health. MUIH's present list of over 15 academic programs is here. Comment: Interesting that while the principal MD/DO integrative medicine program in the country, the fellowship at the University of Arizona, above, is principally online, and while the 200-300 hour "Helms course" in acupuncture is also similarly largely via distance learning, the distinctly licensed CAM fields have not moved in this direction. I suspect a part of the reason is the history of mainstream challenges to credibility of "mail order" "CAM" education. Early adoption would be two-steps back on hard-won steps toward acceptance. With Stanford, Harvard and others jumping into online learning with both feet, the company is now good for such a move. Expect to see more of this. The founder and director of the Kansas University Integrative Medicine program, functional medicine practitioner Jeanne Drisko, MD, writes that "we have new young faculty, growing research agenda, and a booming clinic practice." One of the faculty is pediatrician Anna Esparham, MD. She notes that they are developing their pediatric integrative medicine program with an emphasis is on "treating the child as a unique individual who may be dealing with chronic problems and/or chronic illnesses." Their clinical strategy involves "using biochemical nutritional approach, neurofeedback for psychiatric illness/traumatic brain injury, integrative nutrition implementation, IV therapies, and community alternative medicine referral." The program now has a new Pediatric Integrative Residency Curriculum "that KU pediatrics is incorporating into "continuity clinics" that educate both faculty and residents." On March 14, 2013, Kenmore, Washington-based Bastyr University announced it has partnered with Seattle-based Choice Organic Teas to develop and launch what it characterized as "a new line of flavorful, certified organic Wellness Teas*." It is, as the release notes, the first time Bastyr has lent its name on a consumer product. Bastyr's senior vice president and provost Timothy C. Callahan, PhD states: "This historic partnership is one that we felt was a perfect fit. With our shared values and Seattle roots, Bastyr University has long been aware of Choice Organic Teas and was attracted to its depth of experience as a manufacturer of a trusted, popular and quality brand." Eight blends will be formulated by a master herbalist who is a faculty member in botanical medicine and ayurvedic sciences at Bastyr. The University's share of proceeds will support student scholarships. Comment: Product endorsement is risky business for a heathcare purveyor or academic health center. Yet as one who knows a bit about the glass ceiling that separates significant government or philanthropic dollars from academic centers centered on the distinctly licensed integrative health disciplines, I have some comfort with the decision. A tea manufacturer is better than a supplement line. And each are certainly better than a health system to allow its president, who it already pays $1.8-million annually, to continue with consulting contracts with three pharmaceutical companies. (I reference here the Time article last month, Bitter Pill-Why Our Medical Bills Are Killing Us that scorched MD Anderson and its CEO Ronald DePinho who has that package.) Bastyr and Choice may be styled an alignment of organic interest. Then again, from the looks of the Time profile, MD Anderson's actual mission may be fully aligned with that of the president's outside contracts.) Credit Bastyr for giving any proceeds to the needy: students. The American Academy of Family Physicians likes the critical medical documentary Escape Fire: The Fight to Rescue American Health Care. The documentary features the present plight of a primary care doctor. Also featured is the mind behind the "triple aim," former Center for Medicare and Medicaid Services director Don Berwick, MD and integrative health and medicine leaders Andy Weil, MD and Wayne Jonas, MD. So the AAFP decided to give two Continuing Medical Education (CME) credits to physicians who watch it. On this page, the professional organization lists 10 learning objectives that the film will meet. Among such objectives as "Evaluate the necessity of, and alternatives to, invasive and costly tests, medications and procedures" is this: "Identify strategies for incorporating integrative medicine into an existing practice." The 2012 annual report from the Palmer Center for Chiropractic Research describes a robust practice including 17 active grants. The Palmer team published 29 peer-reviewed articles in 19 journals in 2012. Among these was a significant article that suggests that adults 18-35 with acute low back pain are better off with chiropractic manipulative therapy and standard medical care than those without CMT. Another was the influential, multi-organizational trial using Medical Expenditure Survey data that found lower expenditures among complementary and alternative medicine users with neck and back pain. The stamp on the work is that of health services researcher Christine Goertz, DC, PhD, Palmer's vice chancellor for research and health policy. In the report's opening message, Goertz declares for the health services orientation that earned her a position on the Board of Governors of the Patient Centered Outcomes Research Institute: "The current era of health care reform is an exciting time to be a scientist as we search for new approaches to health delivery that increase quality and decrease costs." Comment: An informal analysis last year showed that from 1999-2010, Palmer received roughly a third of all NIH NCCAM funds to a "CAM" school. (See "ACCAHC reports that CAM schools received just 4.6% of NCCAM's $1.29-billion between 1999-2010" on this page.) Bastyr represents another third. If NCCAM upped that percentage to 10%-15% we might see reports like this from a half-dozen institutions. And if these, like's Palmer, were directed with a real world focus, some significant contributions would be accruing annually to the healthcare community. For now, Palmer is an exception. Credit Goertz, her predecessor as Palmer's lead, William Meeker, DC, MPH (now president of Palmer West), and the college for which they work for the commitment. 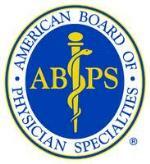 The American Board of Physician Specialties (ABPS) officially announced its eligibility requirements for medical doctors and osteopaths who wish to become board certified in integrative medicine (ABOIM). One initial path is a grand-parenting strategy, to respect long-timers in the field. New MDs/DOs already boarded in a specialty in their own field have two other paths. They can complete one of 21 recognized fellowships. Alternatively, they can complete a nationally-recognized program in chiropractic, naturopathic medicine or national certification in acupuncture and Oriental medicine (AOM). Appropriate consideration given to use of less-invasive and less-harmful interventions, when possible, while addressing the whole person in addition to the disease. Comment: It will be interesting to see if any of the accredited ND, DC and AOM schools busy themselves develop joint degree programs. A large door would seem to have swung open here. Meantime, the elevation of consideration of "less invasive and less harmful interventions" is pleasing. One gift of "integrative medicine" is to give tools to MDs/DOs who wish to "above all do no harm" but haven't presently the clinical tools or referral networks to exit the binary world of prescribing or watchfully waiting. The Accreditation Commission for Acupuncture and Oriental Medicine (ACAOM) has a "hot news" link on its site that is headlined ACAOM approves FPD Standards. The brief paragraph begins: "The Accreditation Commission for Acupuncture and Oriental Medicine (ACAOM) is pleased to announce the approval of standards for a First Professional Doctorate (FPD) degree in Acupuncture and/or Oriental Medicine." Applications will be accepted as soon as June 1, 2013. The note closes with: "ACAOM wishes to thank all those who participated in the development, review, and comment leading to the final Standards." The standards are here. Comment: The thank-you from the ACAOM "to all who participated" has wild resonance for those who have participated in this long, internal look at itself by this profession since a subset fought against the Masters' level entry accreditation standards established in the late 1980s. Many wished that the field had either taught to, or simply claimed, a doctoral level in the first place. In the early 1990s, the issue split the profession. More recently, a subset, led by the community acupuncture movement, fought against the more costly FPD entrance standards which they argue will increase debt load and thus put acupuncture services out of reach to many. I share the concern. The House of Delegates of the American Chiropractic Association has endorsed a new 10-year vision statement that elevates the important of team care and integration. The first in a series of 5 bullets is: "Collaboration with other healthcare disciplines and integration into all health care delivery models that enhance individual health, public health, wellness and safety." At the same meeting, the House endorsed a policy related to this first point. The organization will establish an Integrated Practice Council "to improve patient health and patient care by advancing the quality and availability of chiropractic physicians and their services through full integration into mainstream, evidence-based health care systems." Comment: These are good steps for chiropractic.To focus on collaboration is the right remedy for a field in which significant subsets have long been known for going it alone. My wish list for this field that is continuously pondering whether or how it has "cultural authority" was that it take a strong principled position that it would own and promote for all of health care that is not about chiropractic, per se. The collaboration focus does this, though one feels the field pressing at the gates in the language chosen. One idea would be to promote the principle of what it has called for years "conservative" treatment. Using the least-invasive first is where the puck is going, in pain care and elsewhere. Such a vision is a direction that is not yet formally embraced, well rfesearched or well-articulate. Yet it could find many other supporters in the integrative health, community medicine, public health, and primary care communities. Witness the principles of integrative medicine for the new MD/DO board certification in integrative medicine, reported above. Leadership in this area would deeped chiropractic's cultural authority. Meantime, the magic in promoting such a vision, without specific reference to back pain or to chiropractic, is that people would likely end up using more chiropractic. You can have your guild and leave it, too. Wish-list aside, it is good to see the new ACA vision, and the action step of setting up the Council of Integrated Practices. Portland, Oregon acupuncturist, curandero, and consultant to the University of Minnesota's neuroscience department Gonzalo Flores, L.Ac., MAOM sent a notice of a "first of its kind" conference associated with the American Pain Society (APS). On May 8, 2013, in New Orleans, a day-long, pre-conference APS session will focus on Complementary and Alternative Medicine: Roles in Pain Management and Research. The inclusion was assisted by work of Flores and his colleagues who secured a conference grant from NCCAM/NIH for the symposium. Speakers include Flores as well as Candace Pert, Sean Mackey, Seddon Savage and direct NIH/NCCAM involvement via Partap Khalsa, DC, PhD and Northwestern Health Science University research Gert Bronfort, DC, PhD who was until recently an NCCAM adviser. Comment: As Nixon opened China, so the NIH NCCAM opens the APS, the slowest pain-related organization to acknowledge that roughly one gillion Americans use acupuncturists, chiropractors, massage therapists, supplements, mind-body practices, yoga therapists and others for pain-related conditions. I was going to call APS a "conservative" organization but that wouldn't have been correct. Proper "conservative" medicine would think never only opioids when something else is available. Great to see APS showing this openness. Basic education about options is a first step out of the binary prescribe/wait bind toward a more robust tool kit that inis available to those following the integrative medicine principle reported above: "Appropriate consideration given to use of less-invasive and less-harmful interventions, when possible, while addressing the whole person in addition to the disease." Credit Flores and his team, and the NIH NCCAM. "Today is no doubt a monumental and historic day for the American College For Advancement in Medicine (ACAM)," begins the March 129, 2013 release from the organization. "Earlier this year the ACAM Executive Committee, Board of Directors, and Bylaws/Legal Committee worked effortlessly to identify eight significant changes to our current bylaws. The most significant of these changes was to allow licensed naturopathic physicians full voting membership and to be categorized along with MDs and DOs." The release included a link to a bar-chart of the results of the general membership's vote: "88.7% of our voting active members approving." Of 665 ACAM active voting members, 17% voted. Concluded Michael Boutot, ACAM executive director: "ACAM is excited about welcoming qualified NDs as full active voting members. To be qualified, the ND must be practicing in a state with licensing. Comment: This is another measure of embrace for the naturopathic profession which, after all, has the highest accredited standards and required clinical education for education to practice integrative medicine. Institute for Functional Medicine takes focus on "the energy that drives are biologic activity"
The Institute for Functional Medicine, known for its focus on biochemistry and the application of supplements to diverse metabolic and other syndromes, is offering a hard look at energy in its 2013 Annual International Conference. The program is entitled "Illuminating the Energy Spectrum." The focus is on "assessment and treatment strategies related to energy regulation." IFM president David Jones, MD announces the emerging view: "As we begin to understand how energy permeates all bodily functions, we start to move away from viewing disease as the cause of dysfunction and toward an awareness that energetic dysfunction is a primary cause of disease." The program offers an unusually diverse group of speakers from diverse disciplines. Among the 16 featured in the program are 5 MDs, 4 PhDs, 3 NDs, 2 DCs, an MPH-homeopath, and a Qi Gong practitioner. Comment: In a recent conversation, Jones shared some of what he considered the natural change in focus as IFM shifted from its founding era, led by a trained chemist, Jeff Bland, PhD, to the present in which he, a clinician, is guiding the organization. This content seems a piece of that move. Here's hoping that that the content ius based in patient-empowering, patient-centered life change strategies rather than merely the biochemical regulation through the kind of supplementation that is sometimes-described as "green allopathy." Lou Sportelli, DC, president of the NCMIC Group and the organizing energy behind the NCMIC Foundation, was honored this year by the American Chiropractic Association (ACA) with its 2013 Humanitarian of the Year Award. Sportelli, who has 50 years with the chiropractic profession, has held numerous leadership positions, including chairman of the ACA's board of governors and president of the World Federation of Chiropractic. Those in the integrative health field will know that his vision has extended to the broader movement. He supported David Eisenberg, MD's early Harvard meetings on integration, and early initiatives to create collaboration such as the National Policy Dialogue. He brought in NCMIC as the first sponsor of the Integrator. The ACA notes that Sportelli, who has authored several books related to the profession, has "leadership development (as) a major focus." In his term with NCMIC, the firm has supported for the Student American Chiropractic Association. Comment: The present writer is counted among those in whom Sportelli has mentored. As recently as a month ago, he gave me pithy feedback on a talk I'd delivered. Nice to see this honor. A professor in research at National University of Health Sciences, Jerrilyn Cambron, CMT, DC, PhD, has been selected as the president-elect of the Massage Therapy Foundation. A long-time researcher in massage and chiropractic whose work has been funded, in part, through NIH grants, Cambron operates MassageNet, the nation's only practice-based research network focusing on massage. She also represents the massage field on the Research Working Group of the Academic Consortium for Complementary and Alternative Health Care. She will replace current president Ruth Werner on March 1, 2014. An entrepreneur who moved into the integrative medicine and health space in the late 1990s, Janesse (Jan) Bruce, is now CEO for a start-up called meQuilibrium. Bruce, theformer president of Integrative Medicine Communications (IMC), is interviewed at length by Forbes' CMO Network editor Jennifer Rooney in a focus on "The Opportunities That Exist In The 'Market Of Well-Being'." Bruce previously served as editor of Body and Soul and then as a director and manager at Martha Stewart's Whole-living.com. Bruce's business focuses on stress reduction and mindfulness coaching strategies, in partnerships with individuals and employers. She pitches these as the critical element in making healthy changes. Comment: Back in the day, IMC set the standard for publishing for integrative medicine. Bruce was CEO and Len Wisneski, MD, now chair of the Integrative Healthcare Policy Consortium, as medical director. I sold my hard-copy Integrator to IMC in 1999. Under Bruce's leadership, IMC provided backing to develop the Integrative Medicine Industry Leaderships Summits (2000, 2001), seminal multi-stakeholder and inter-professional meetings. (See report here on the Integrator site.) Then we watched the whole venture drain down the dot.com bust. Bruce's comments in the Forbes piece are stimulating. She makes a good case for the term "well-being." My colleague and Integrator columnist Taylor Walsh sent me the link, unaware of my past connection with Bruce. He read the interview as evidence of where the integrative health movement is going, but without significant reference to integrative health or integrative medicine. Bruce's view supports the NIH NCCAM focus, in their 2011-2015 strategic plan, on the self-care uses of "CAM." Bruce is a savvy player. This is a business worth following.